Depot-level maintenance and repair and Refurbishment services for damaged/faulty products or for minor upgrades are provided as a standalone service as well as for products designed or manufactured at Centum. We achieve quick turnaround times as a result of skilled engineers who employ structured debugging approach to identify and rectify complex problems. We also provide logistical support to get the products to and from the end user. Proactive Product Lifecycle Management is an important aspect of our offer. We use tools such as I.H.S to monitor component lifecycles and provide solutions in case of end-of-life issues. 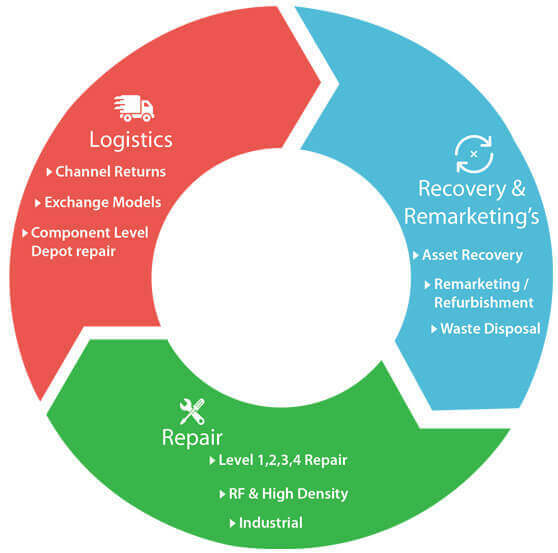 We also look for alternate components/suppliers to address obsolescence or single vendor related challenges. Given our strong design capabilities, we also provide customers with redesign services for cost reduction, obsolescence management, performance upgrades or market localization.